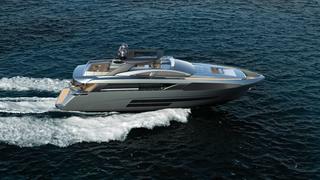 Recently launched and based upon pure Italian design in combination with the skilled Italian craftsmanship, the BUGARI F86 is a fusion between tradition and innovation. 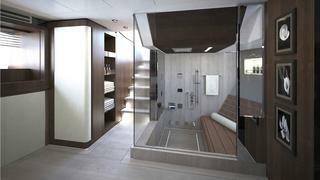 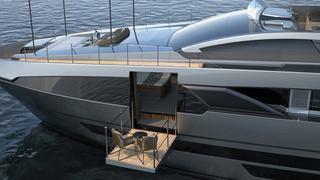 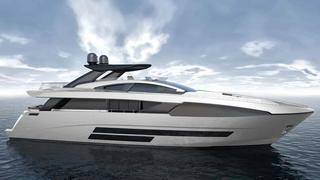 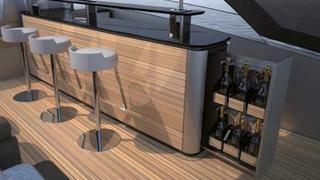 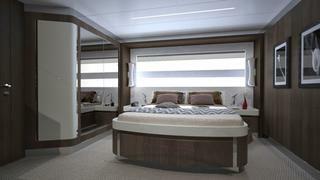 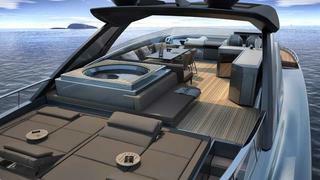 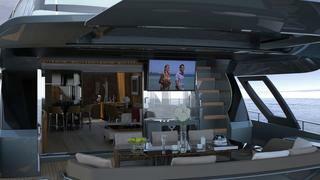 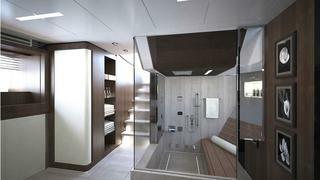 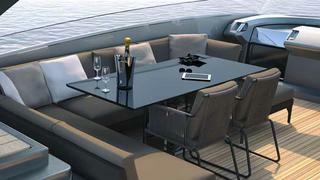 The result is an extremely innovative 86-footer yacht with a superyacht’s soul. 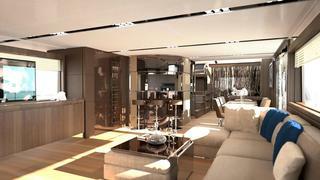 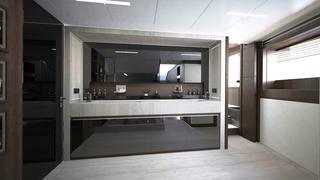 The modern interiors complemented by a large use of finest wood and marbles, feature full height windows providing pano-ramic vistas and plenty of light in main and lower deck. 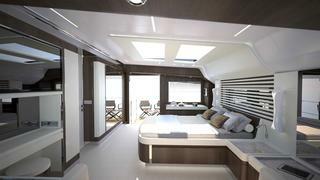 The functional lay-out ensuring smooth crew operations and guests’ privacy, is designed to accommodate up to eight guests in four staterooms. 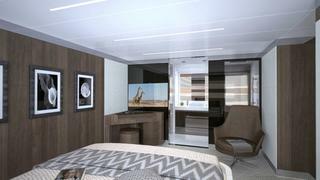 The 35sqm owner stateroom, on main deck, features a folding balcony and a layout designed to achieve the maximum of pri-vacy for the owner. 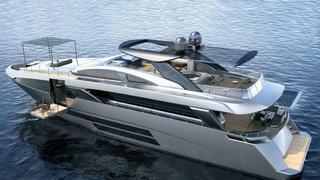 Thanks to the “wide body” design the owner can enjoy the largest and most spacious stateroom available on this class of yacht. 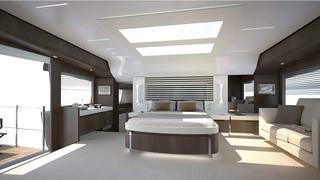 Big side windows as well as large skylight over the bed, provide a natural daylight ambience through-out the whole cabin.